Komelon 20m x 10m UniGrip Swing Long Steel Tape Measures are ideal for use in steel industries, road construction and various outside applications. 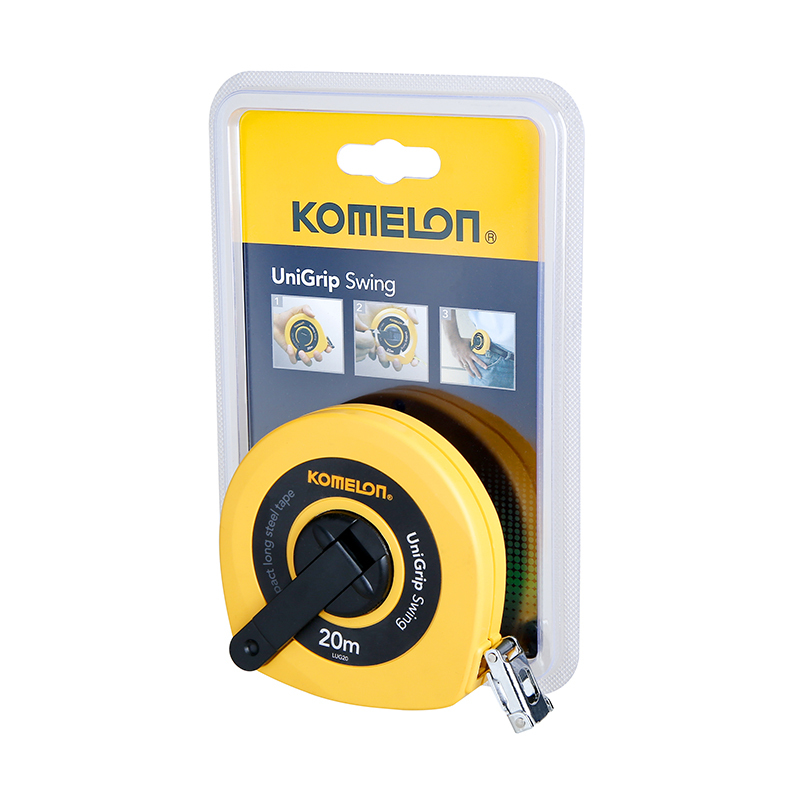 The Komelon 20m x 10m UniGrip Swing Long Steel Tape is constructed with a 3X High Speed Gear mechanism – turn the handle once and the tape rewinds three times. The measure is encased in a heavy-duty, impact resistant ABS case. The built-in wire guard also helps to protect the tape. Durable rollers also guide the blade to prevent twisting. 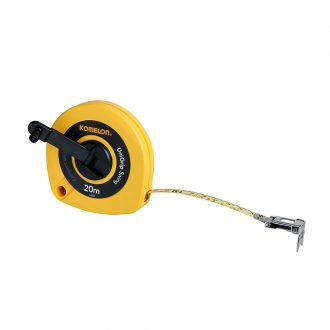 Komelon 20m x 10m UniGrip Swing Long Steel Tape Measures are constructed with deburred edges. Rough edges cause corrosion and rust but with the deburring treatment, it prevents the rough blade edges from early corrosion and cracking.